China approved two reactors this month as it vowed to cut coal use to meet terms of a carbon-emissions agreement reached in November between President Xi Jinping and U.S. counterpart Barack Obama. 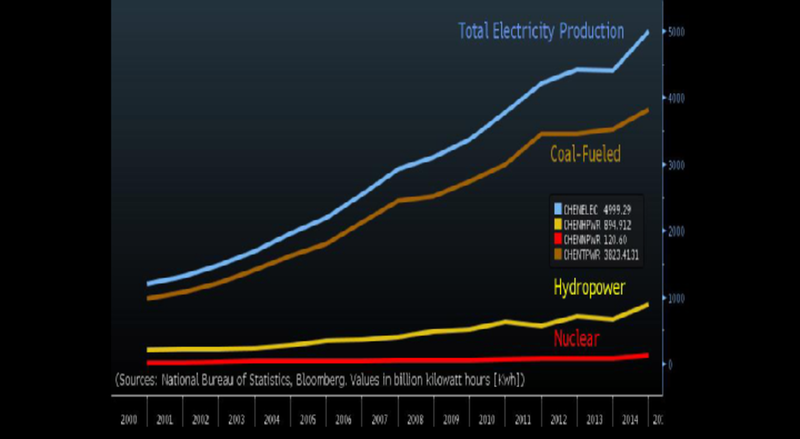 About $370 billion will be spent on atomic power over the next decade, Bloomberg New Energy Finance estimates. Plans to triple nuclear capacity by 2020 to as much as 58 gigawatts. "China is in a race with itself to reach a nuclear-power goal set for 2020 that's concurrent with a coal-reduction plan," Tian Miao, an analyst at North Square Blue Oak Ltd., a London-based researcher, said in Beijing. "Because it normally takes five years to build one reactor, the program needs to be ramped up from now on." China has 24 reactors in operation and another 25 under construction, according to the World Nuclear Association. France gets about 75 percent of its electricity generated by nuclear, making it the world leader, while the global average is about 11 percent, WNA data show. Whatever money is spent will only put a dent in the importance of coal, which is still expected to make up almost two-thirds of the nation's power mix in 2030, said Wood Mackenzie Ltd., an Edinburgh-based energy consultant.